Please do not invent fake news where there is nothing but simplicity: some people want to help others and expect nothing in return. Stay tuned. While I respect freedom of speech for everyone, I can only decry your recent outburst following the launch of Scientology TV. Lloyd Grove's article merely reveals his disdain for Mankind: actions accomplished by members of this religion on a daily basis are selfless and produce stellar results in helping people to live better lives. 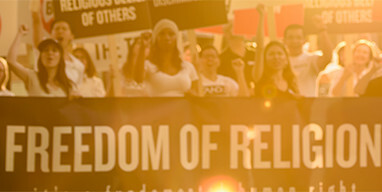 If you ever deign to take the time to truly examine the results achieved by Scientology organizations worldwide—in the areas of drug rehabilitation, protection of human rights, promotion of education for all, and disaster relief, to name but a few—you will realize that this religious movement is composed of individuals hellbent on HELPING. The fact that he evidently opposes HELP says a lot about him as a person. If he ever needs our assistance, the doors are open. But those who truly care for their fellow man—fortunately, the majority of the population—will be the first to walk through those doors and be given the respect they deserve. Mr. Miscavige was clear in his message when the Scientology TV channel went on air for the first time: its purpose is not to convert anyone. It is to inform. And if anybody needs our help, we will lend our goodwill, our experience and our training to provide just that. Please do not invent fake news where there is nothing but simplicity: some people want to help others and expect nothing in return.